Goalkeeper Adam Stevens summed up the relief in the Armthorpe Welfare dressing room after they ended a run of 11 consecutive league defeats with a 1-0 win at high-flying Winterton Rangers. Liam Radford’s 68th minute penalty proved to be enough to earn Welfare their first win since October. 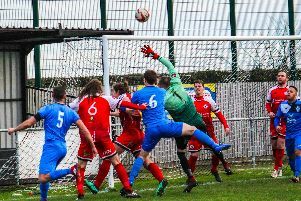 The victory moved them three points clear of the drop zone ahead of back-to-back meetings with relegation rivals Harworth Colliery. “Firstly, it's about time,” said Stevens. “Personally I cannot believe the poor run we have been on. We only have ourselves to blame for that. “However, Saturday showed exactly what Armthorpe Welfare under Mick [Carmody] and Jacko are about. “I thought the pre match team talk was spot on by them both and I think it largely widened some eyes to what is going on at the club. “We started off well and got to grips with the game,” he added. “I can't say we created much but it was positive. Defensively we were solid for the first time in a large number of games and I can't recall having too much to do. “Winterton are a very good side and we had to battle hard but honestly I think we looked the better side. 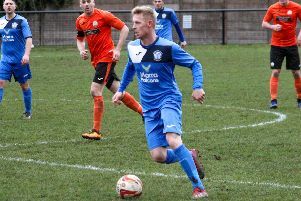 Armthorpe went into the game knowing a heavy defeat would see them tumble into the relegation zone after neighbours Harworth drew level on points with them following their 3-2 win at Selby Town last week. The decisive moment came midway through the second half when substitute Josh Paskill was bundled over in the box and Radford sent the Rangers goalkeeper the wrong way from the spot. Stevens made a couple of excellent saves and Leon Larcombe-Loftus cleared an effort off the line from Paul Grimes during the closing stages to preserve the lead. Armthorpe travel to Harworth on Saturday.